Keith A. Redmill - Ohio State Univ. Umit Ozguner - Ohio State Univ. Tankut Acarman - Galatasaray Univ. 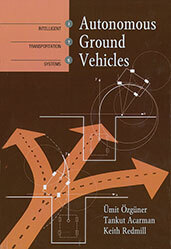 If you do not have access to SAE MOBILUS via username/password or institutional access, you can still purchase the Book, Autonomous Ground Vehicles.